A servo motor in coordination with the servo controller precisely controls the angular position, velocity and acceleration of the motor shaft. This is accomplished through a closed loop feedback system with either a resolver (analogue communication with the controller) or absolute or incremental encoder (digital communication with the controller), which provides positional information and speed of the shaft. Any difference between actual position and programmed position will result in a correction signal being sent to the motor, to get the shaft back in position. 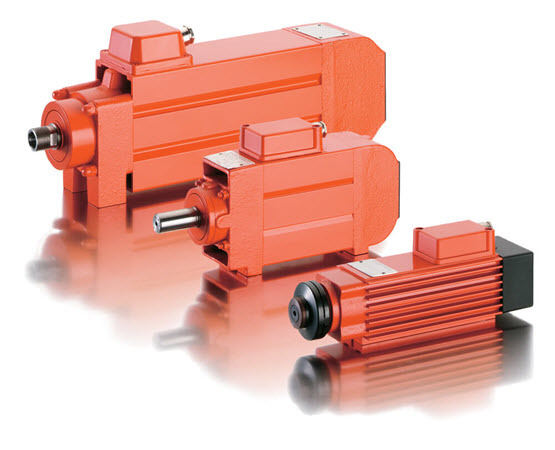 Servo motors are offered in both synchronous & asynchronous (induction) designs. Brakes utilized in servo motors are most often permanent magnet, but spring applied are also possible. Ability & Drive can assist in finding the right motor for your application.